I also recently wrote four pre-recorded scripts for BBC Northern Ireland – three of them were about the fifty volumes of my late Uncle Artie’s diary to which I hope to address myself when I retire. 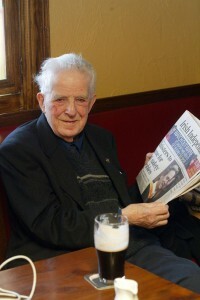 You won’t be surprised to hear that he was extraordinary – here he is on his 84th birthday in the Mill House, his favourite Dublin pub. He worked as a sub-editor on the Sports Pages of the Irish Independent in Dublin. He was a sometime Lay Reader in the Church of Ireland – when he hadn’t fallen out with the church. 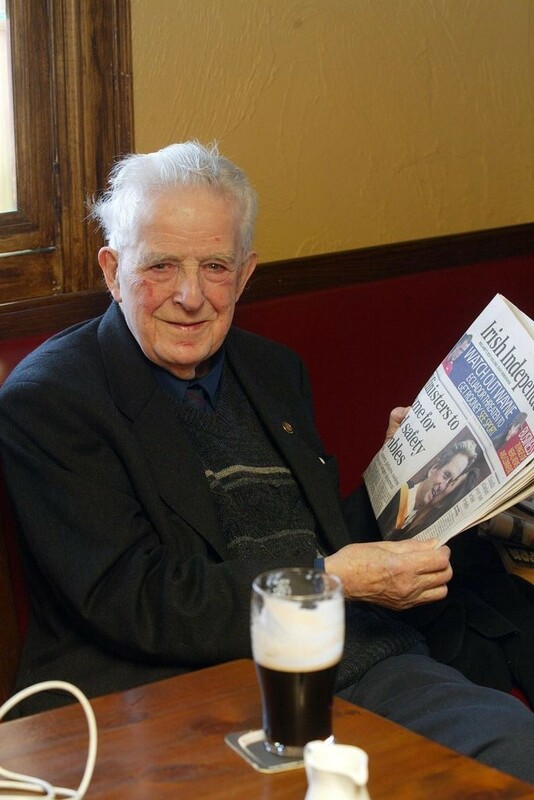 He was thoughtful and spiritual – a Guinness drinker and raconteur – who became a Roman Catholic in his latter years. And a marathon runner into his 70’s. Unfortunately his diary is written in a microscopic script!